The Tagine is an earthenware cooking and serving pot common in North Africa and now popular in the USA. The heating is more even then what you would get in a regular skillet and the liquid that gets released from the food while it cooks, keeping everything moist. 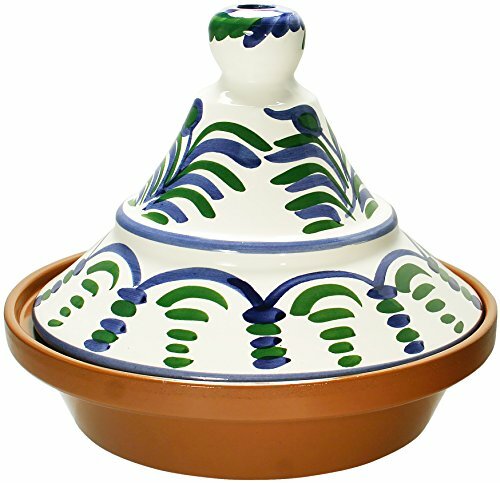 Use the Tagine on any stove top style with a diffuser or it can go in the microwave or oven. There are all kinds of choices. The conical shape top returns moisture to the food below and when the dish is done, you can serve it right from the beautiful pot. Cook all kinds of meat fish, fruit and vegetables of your liking. If you have any questions about this product by Reston Lloyd, contact us by completing and submitting the form below. If you are looking for a specif part number, please include it with your message.